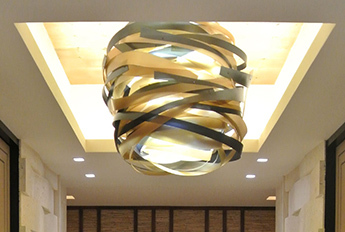 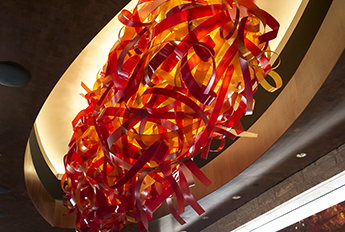 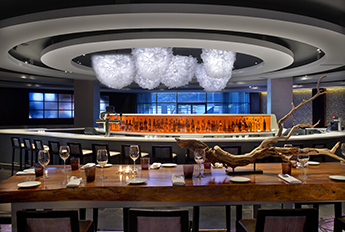 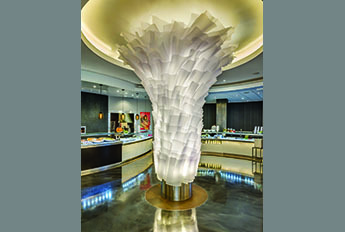 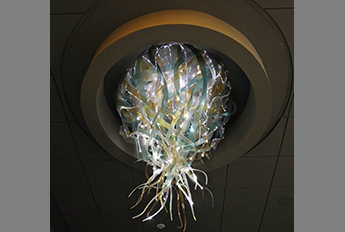 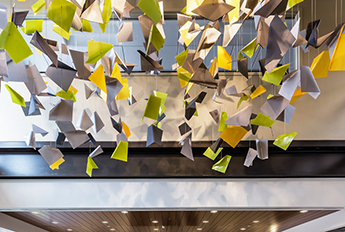 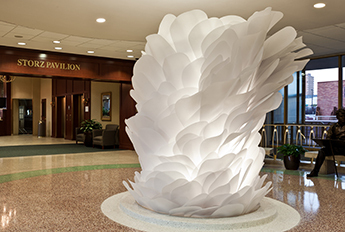 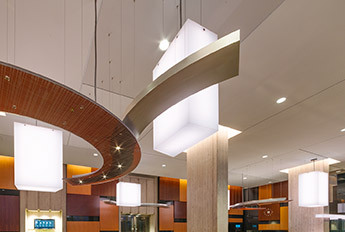 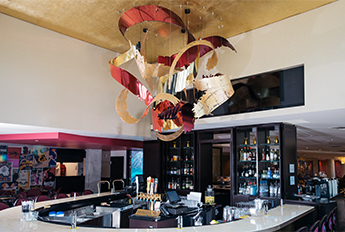 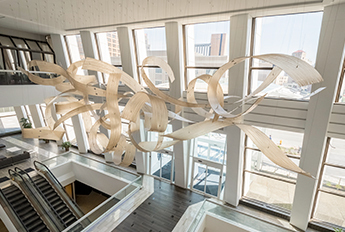 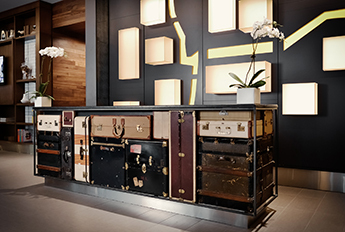 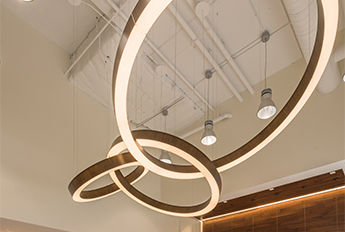 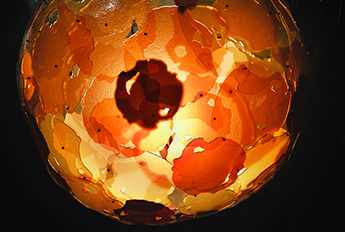 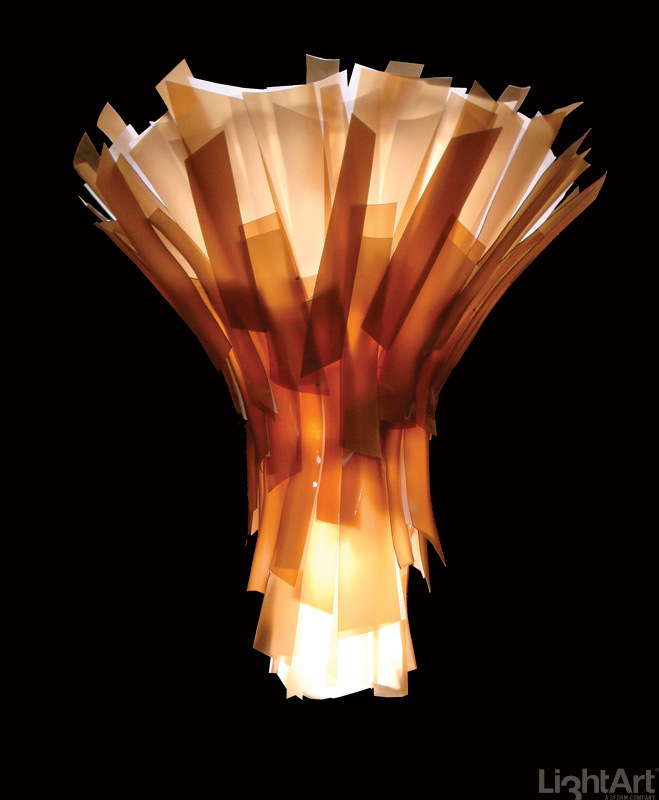 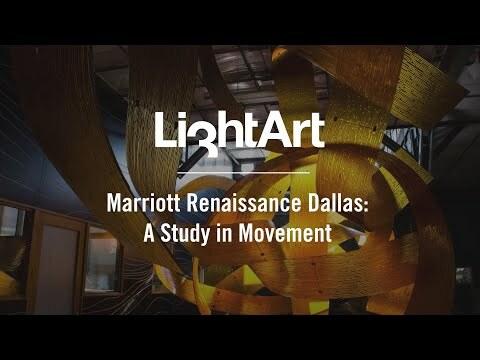 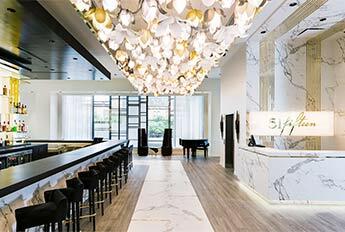 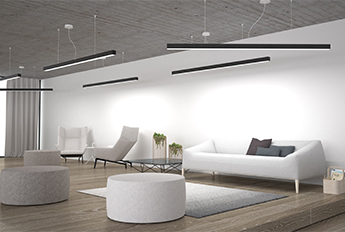 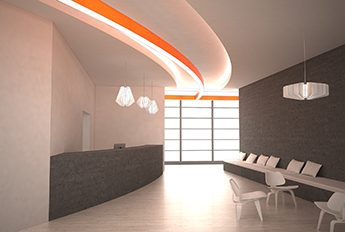 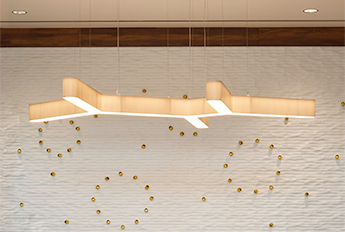 Inspired by the central location of the property and the tangled network of highways in the surrounding metroplex, K2M Designcame to LightArt for a sculpted centerpiece for a multi story luxury hotel lobby. 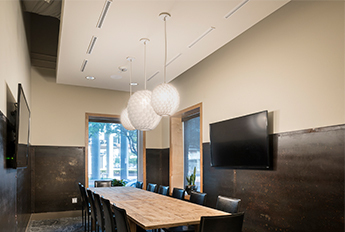 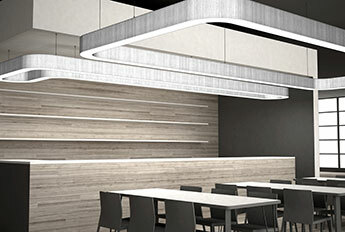 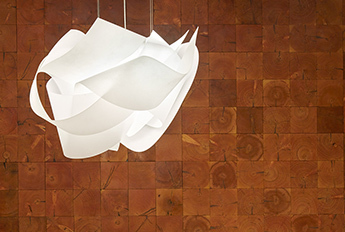 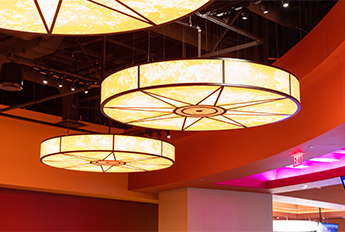 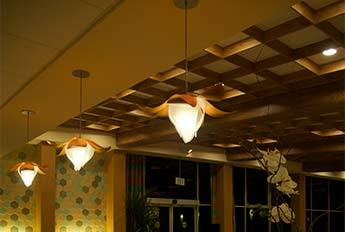 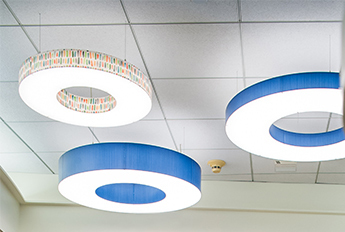 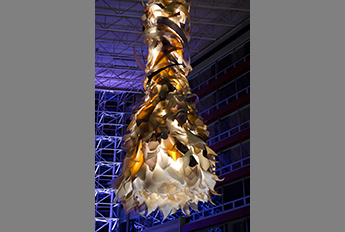 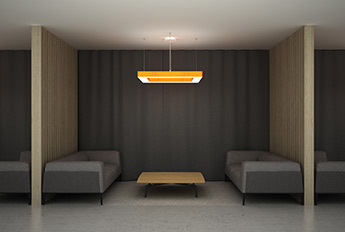 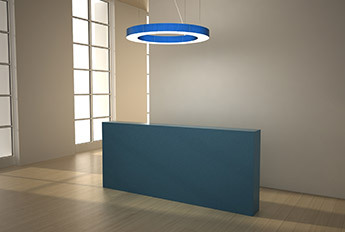 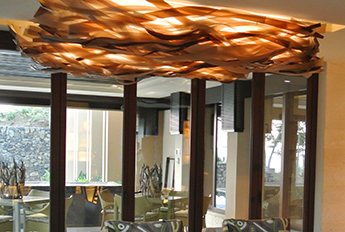 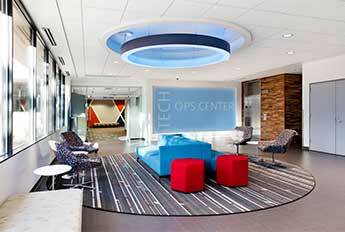 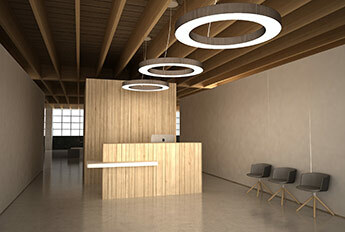 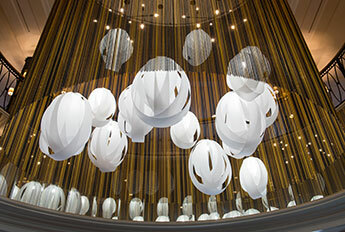 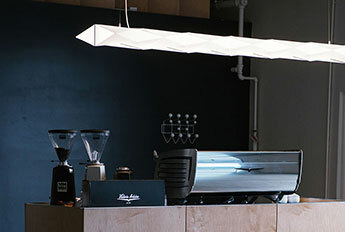 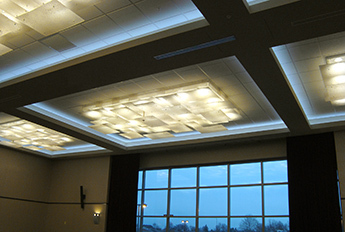 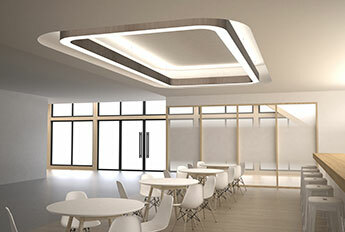 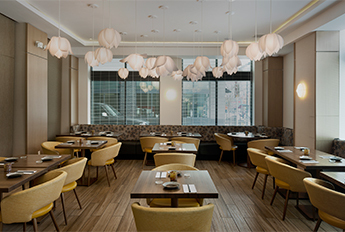 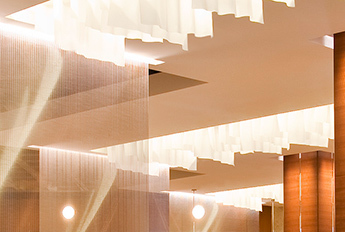 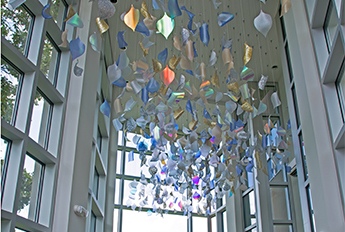 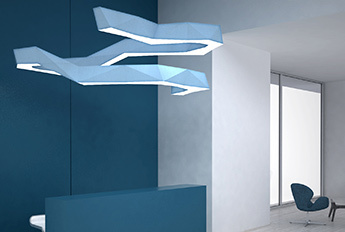 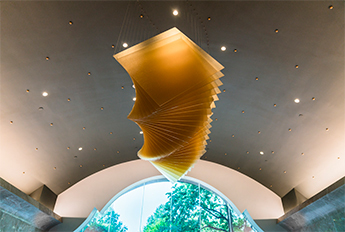 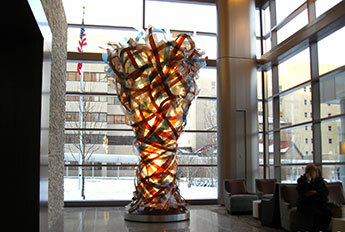 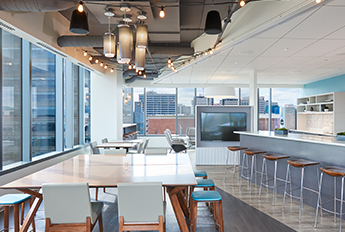 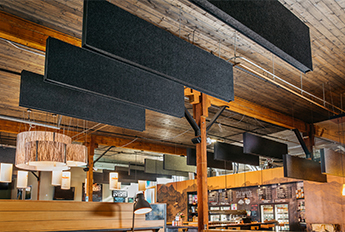 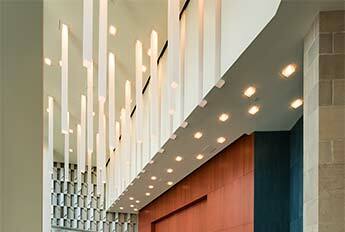 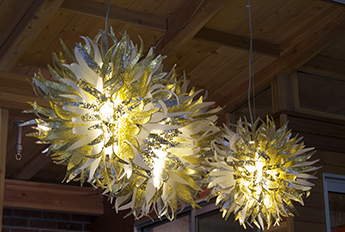 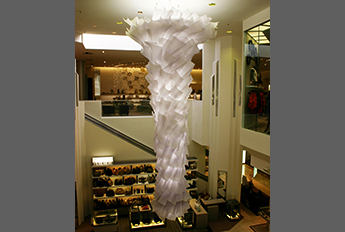 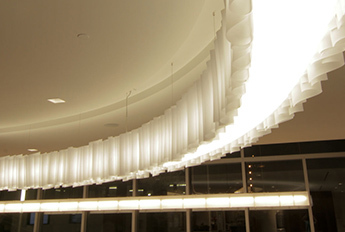 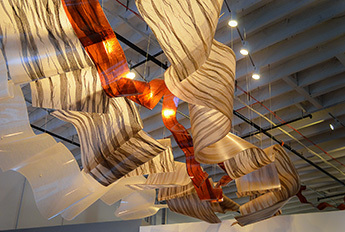 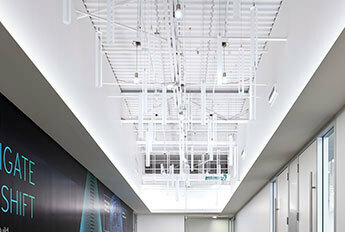 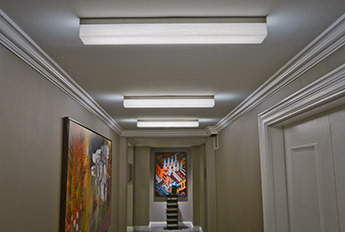 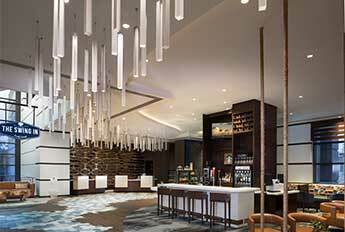 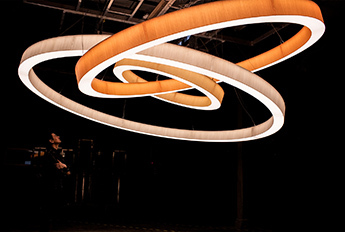 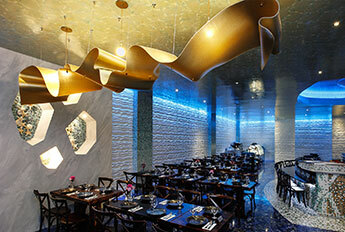 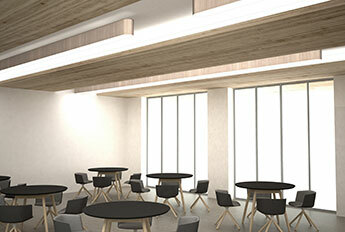 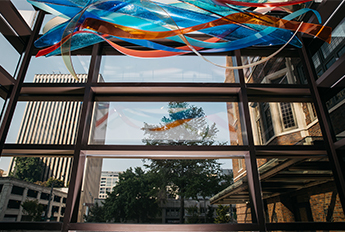 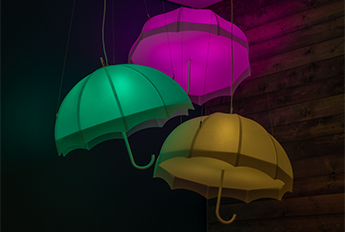 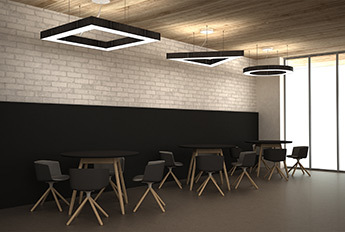 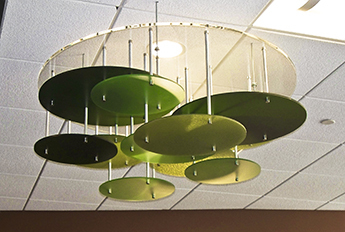 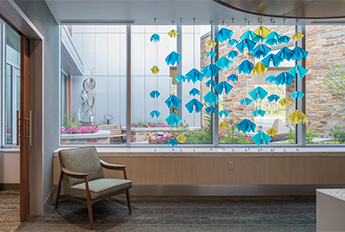 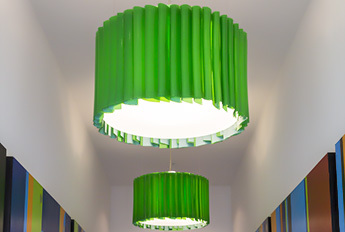 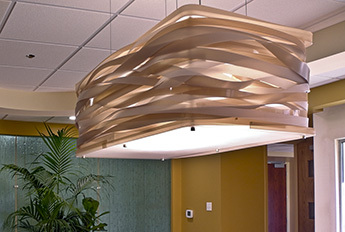 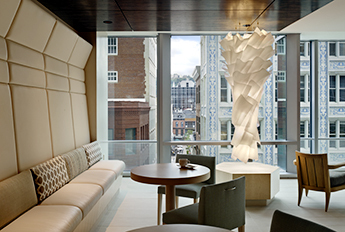 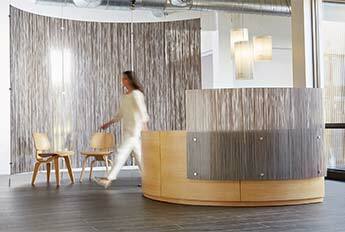 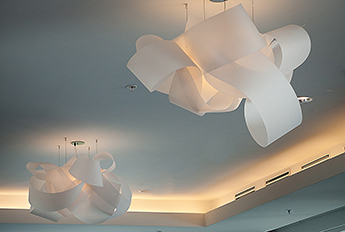 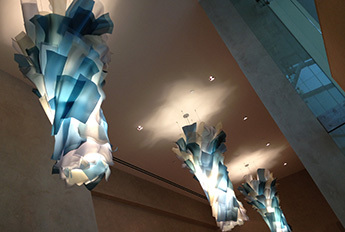 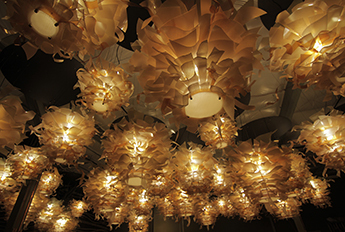 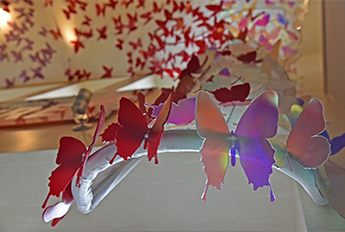 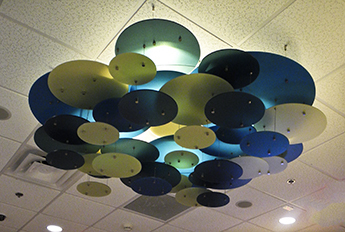 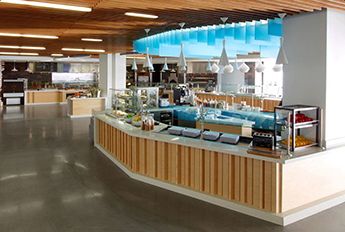 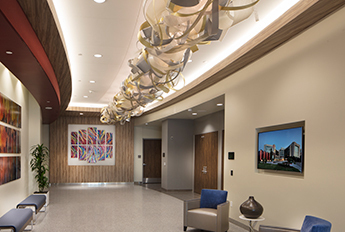 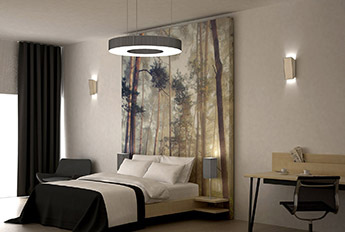 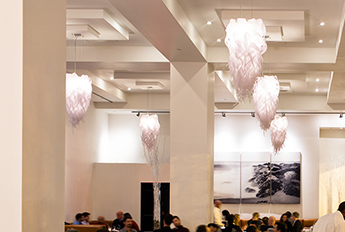 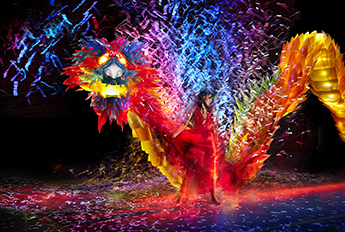 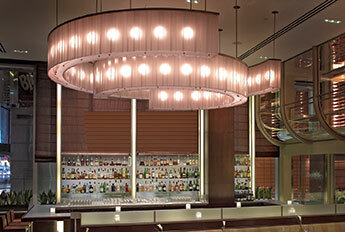 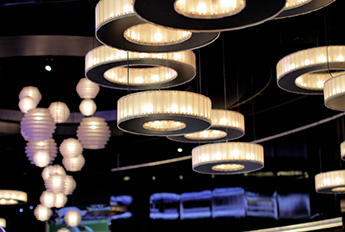 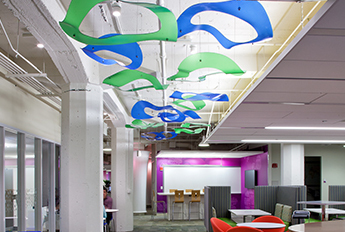 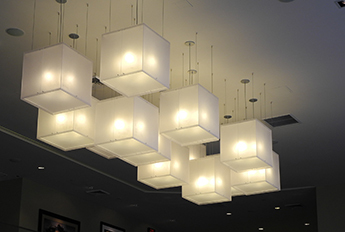 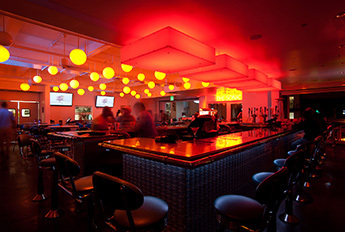 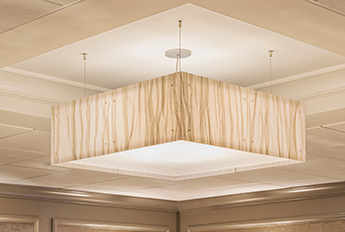 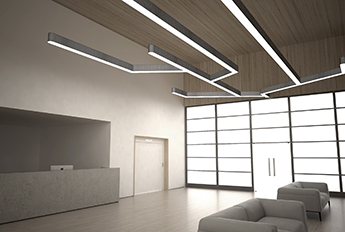 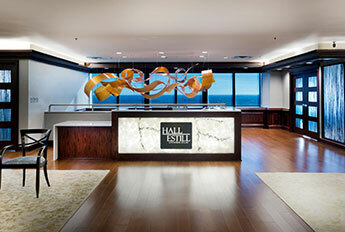 LightArt provided multiple design iterations as well as installation assistance. 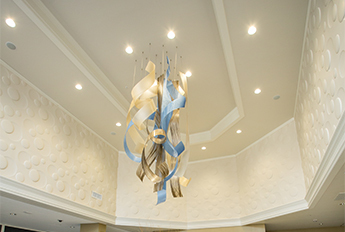 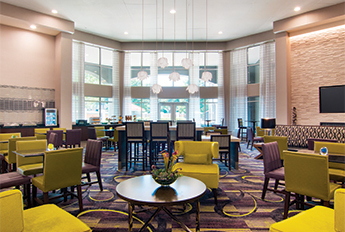 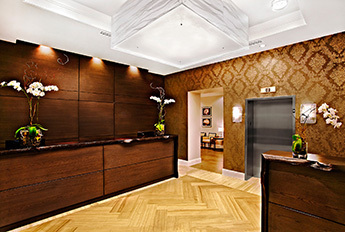 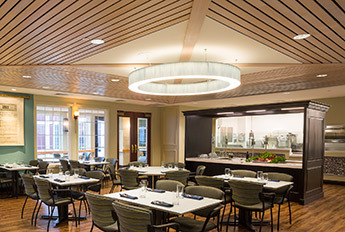 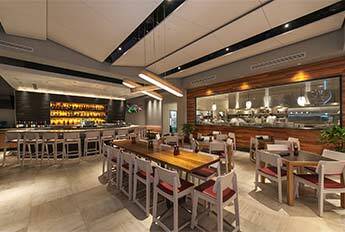 Design: K2M Design & Marcia Rubin, Rubin Design Group Inc.